Back in August 2014 I pre-ordered a Navdy. Last week, 2 years later than expected, my unit finally arrived. Was this long wait worth the while? YES! 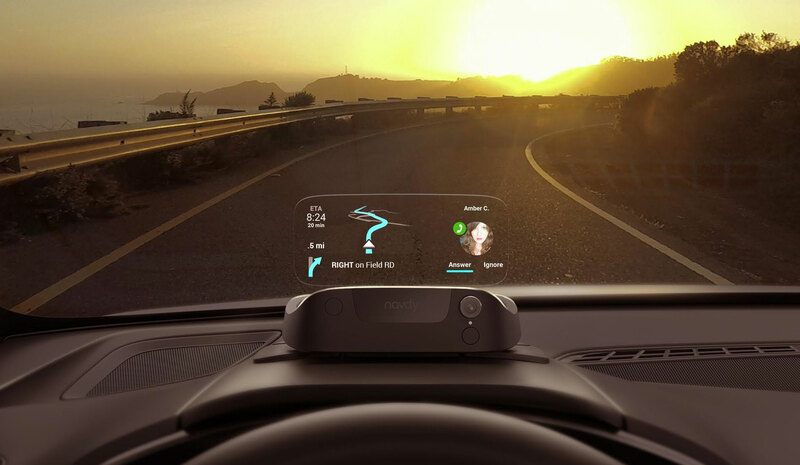 The Navdy is an aftermarket “Head-Up Display” for your car. Where your Bluetooth-enabled car radio acts as an audio extension to your smartphone, the Navdy acts as a visual extension to it. The product consists of the Navdy Display itself, and the Navdy Dial. They connect to each other via Bluetooth. 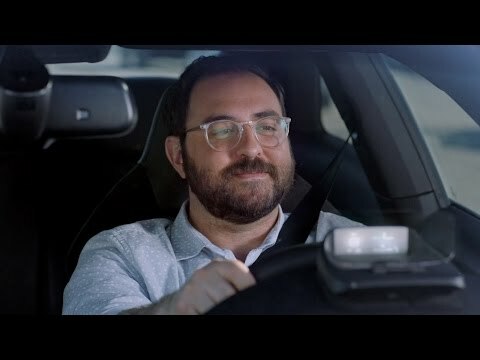 On one end you plug the Navdy Display into your car’s ODB-II port – a port that’s default in about every car – and on the other end you connect your smartphone to it (again via Bluetooth) using the Navdy App. Using the Navdy Dial you can scroll through the menus, make selections, etc. Gestures are also supported for certain actions: wave left to engage, wave right to discard. Audio commands – used to getting things done that aren’t accessible via the Navdy menus, such as sending a text message – are processed via Siri/Google Assistant. One week in and I must say the device is a blessing for my old car – a car that’s over 10 years old with “electric windows” being it’s only thing of comfort/luxury. Thanks to the Navdy I now have a rich console in my car, a default feature to be found in modern cars. Sidenote: A friend of mine joked that my car is now worth double the price it was before. He might be right, actually. The Navdy is a robust device I must say, it’s production quality is really good. Manipulating it via the Navdy Dial is easy and the menus are intuitive. The Navdy Display works fine in both dark and very bright weather/lighting conditions, and the Bluetooth connection between the Dial and smartphone Just Works™. Installation is also very easy as you just have to plug it into your car’s ODB-II port. If you can plug your phone into its charger, you can also install the Navdy – It’s that easy. What the videos don’t show you is that the glass panel of the Navdy Display itself tends to vibrate whenever you hit a bump or glitch in the road … which is always, basically. It’s not troublesome, but it’s definitely worth mentioning. One thing that I would like to see with the Navdy is FaceTime support. I think it’d be possible because that sure looks like a camera on the right hand side of the Navdy Display, not? Some minor tweaks would also be handy. Dismissing an incoming text message for example dismisses it on the Navdy, yet it still shows up on the lock screen of my iPhone. Ideally the one action should be duplicated onto the other device. If your car sports a GPS unit and HUD/console then I’d say no, as the Navdy offers no extra value in that case. If you car does not have those features, and you plan on driving it a few more years, then I can recommend it.